TUALATIN — The Horizon Christian High School boys basketball team is coming off what easily could be considered a successful 2017-18 season. After all, a year ago, the Hawks earned the No. 1 seed coming out of the West Valley League while earning a spot at the Class 3A state tournament. But not everything will be the same this season. 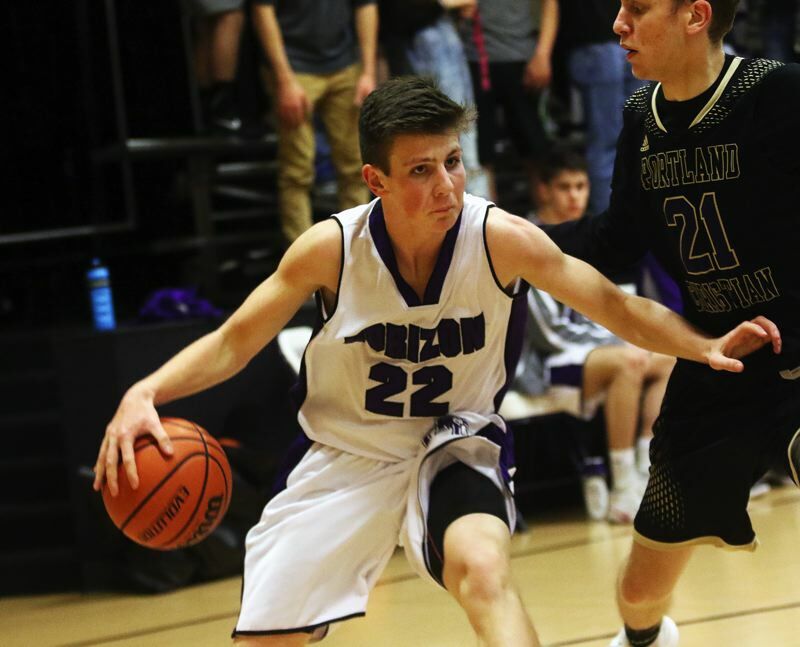 "We are coming off a solid year but lose one of our great ones in (2018 Horizon Christian graduate) Anthony Sprauer, a two-time All-State player now at Lewis Clark State," Horizon Christian coach Dave Brown said. But, that said, the Hawks have a strong group of returnees from last year's squad that went 19-10 on the season. Among the returnees is senior wing Kyle Free (6-foot-0), who was a first-team All-West Valley League selection last year. Free should provide some strong outside shooting for the Hawks. Horizon Christian also returns senior wing Travis Schiele (6-1). "He's our best defender," Brown said. Senior Will Shelby (6-4) returns in the post. "He's a really good high-post passer," Brown said. The Hawks have another returnee, of sorts, in senior guard Connor Zralka (6-4). Zralka started for Horizon Christian two years ago, as a sophomore, but he sat out last year. "He's a top point guard," Brown said. Newcomers to the Horizon Christian varsity include junior guard Cade Tillema (5-10), junior wing Max Peterson (6-1), junior wing Marcus Stetzel (6-0), senior post Dalen Hosely (6-6), senior forward Cole Armstrong (6-1) and senior post Josh Thompson (6-2). "We are a good passing, good three-point shooting team," Brown said. "We have good quickness, unselfishness and are tough-minded. We are not deep and foul troubles, injuries or illness would be a problem. Our lack of size could also hurt us." 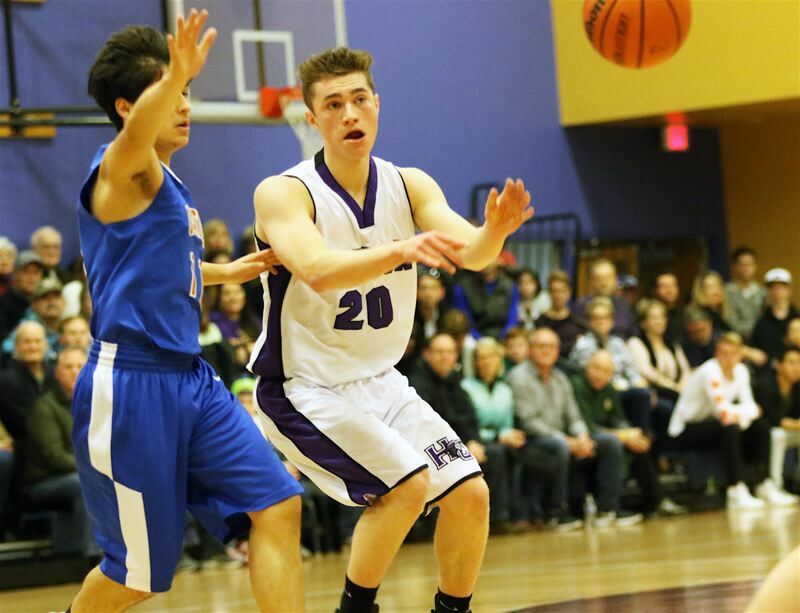 Horizon Christian should face plenty of strong competition, as it joins the Lewis & Clark League this season. "It will be, by far, the toughest (Class) 3A league this year," Brown said. "De La Salle North Catholic, the defending state champion, Catlin Gabel, Oregon Episcopal School and Portland Adventist Academy are all very good teams. We are in the middle of that mix." Brown is entering his 13th year coaching at Horizon Christian, and his 46th year coaching overall, and will be retiring. He's entering the season with 797 career coaching victories. Horizon Christian, which is in the No. 4 spot in the Class 3A preseason coaches poll, will open its season Thursday, when it hosts Creswell in a non-league game starting at 7 p.m. The Hawks will also be home Tuesday to play Regis in a non-league contest starting at 7 p.m.